Hey there folks, it’s hard to believe another week has veritably flown by! 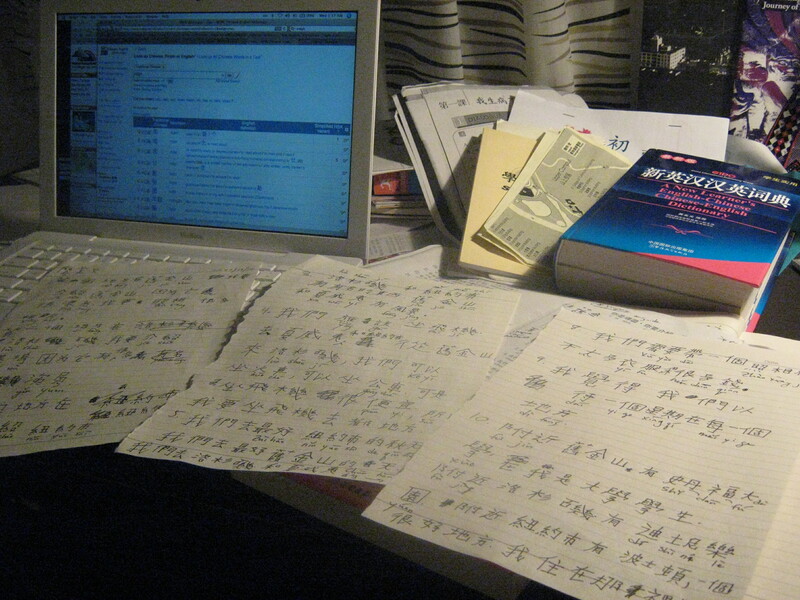 This week was marked by the start of my Chinese class at Zheng Da– which included mind-blowing panic about my ability to speak, understand, and learn this fine language–some delicious meals, a trip to the Taipei IKEA and other adventures with my roommate, interesting new people, intense bus rides, and in just the last 2 days, Fulbright Orientation! The latter was particularly exciting because it felt like a real kick-off to the year. And there are some amazing people doing research grants, teaching assistantships, and faculty exchanges. Anyway, the majority of this week’s photo highlights can really be summed up by two categories: eating cool new Taiwanese fruit, and commuting to class and back! 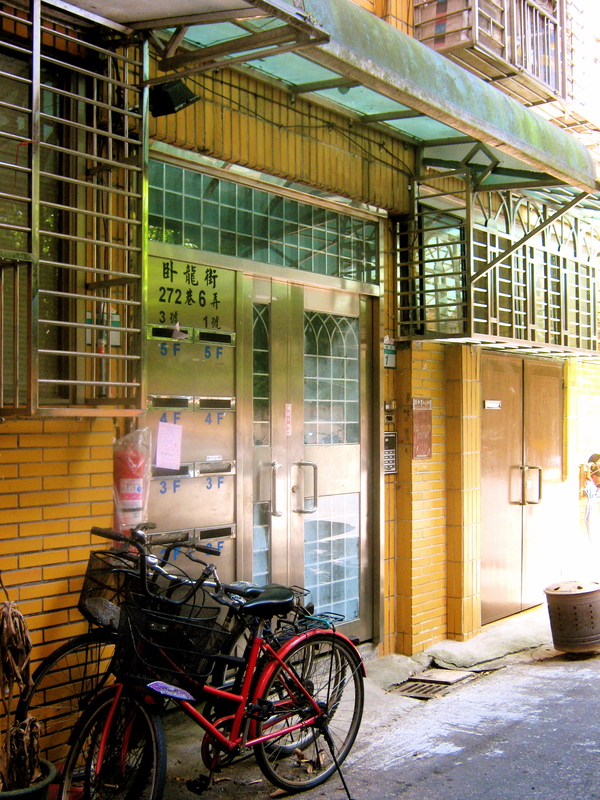 In the early mornings, I typically take a bus directly from home to Zheng Da, and then either climb the hill or take the campus shuttle to class. Whereas in my more leisurely commute home, I can take a bus to the Taipei Zoo MRT line, or bus home. 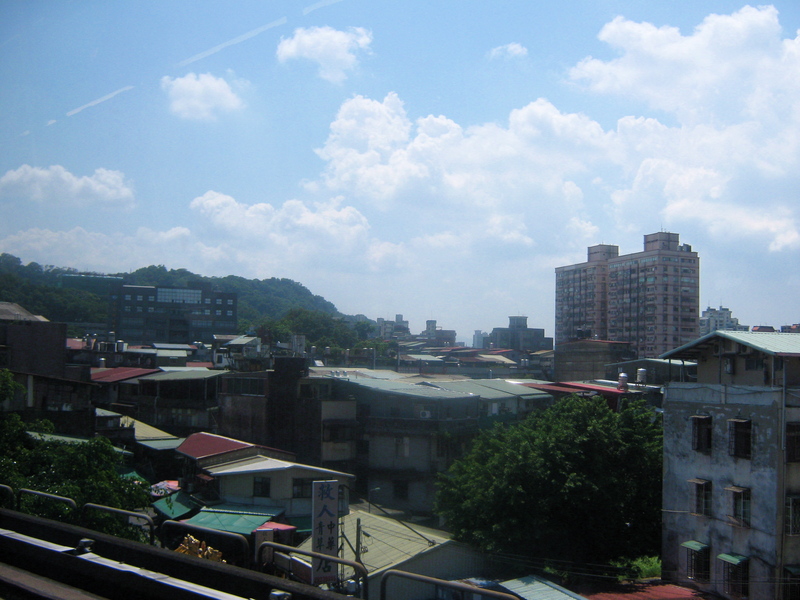 Both are fairly pleasant and have some beautiful views of Taipei 101, southeast Taipei, and the surrounding mountains. So I hope you enjoy these, and I look forward to a week of busy blogging next week. Bon weekend; 很好週末 (hen hao zhoumo)! My Taiwanese roommate Susan took me to a produce shop where they were selling Longan fruit (龍眼) for $1.50 American dollars a box. 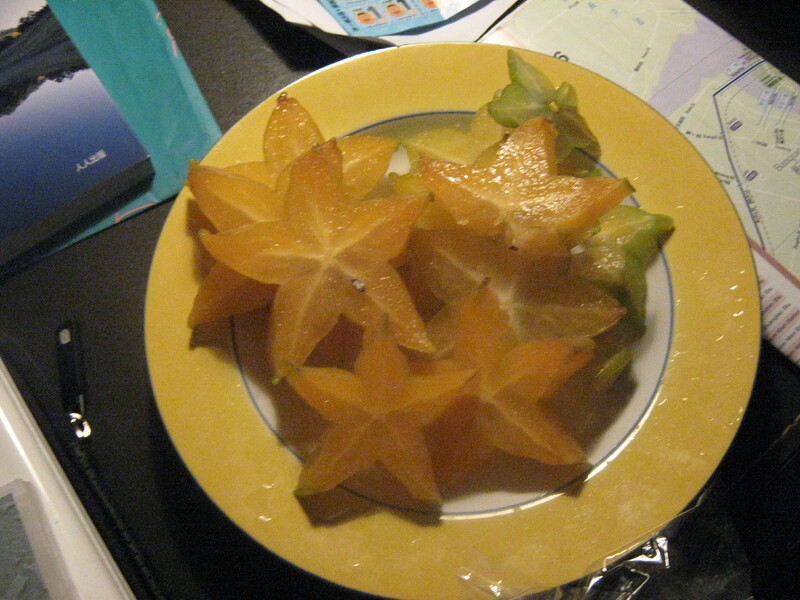 We got 3 boxes, and spent the next week eating "dragon eye fruit." 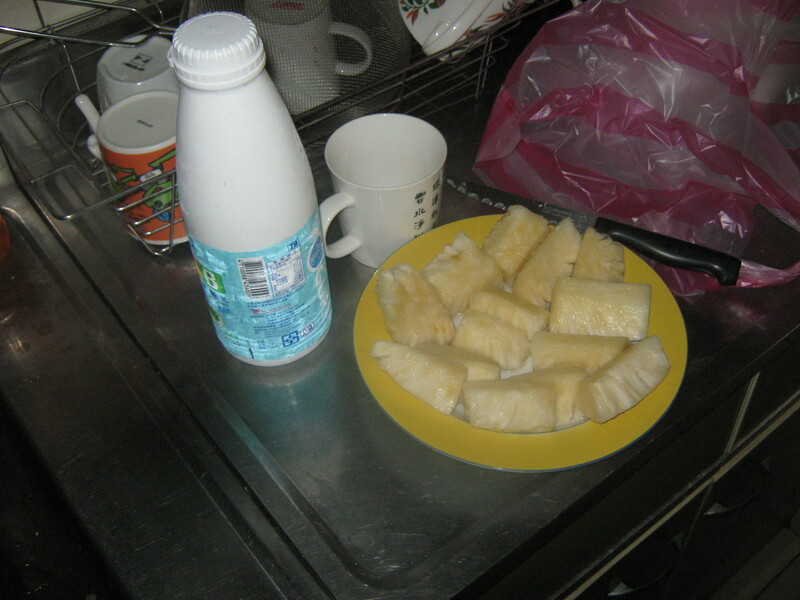 It's similar to a lychee in size and texture, but the flavor is a bit stronger, and completely addictive. 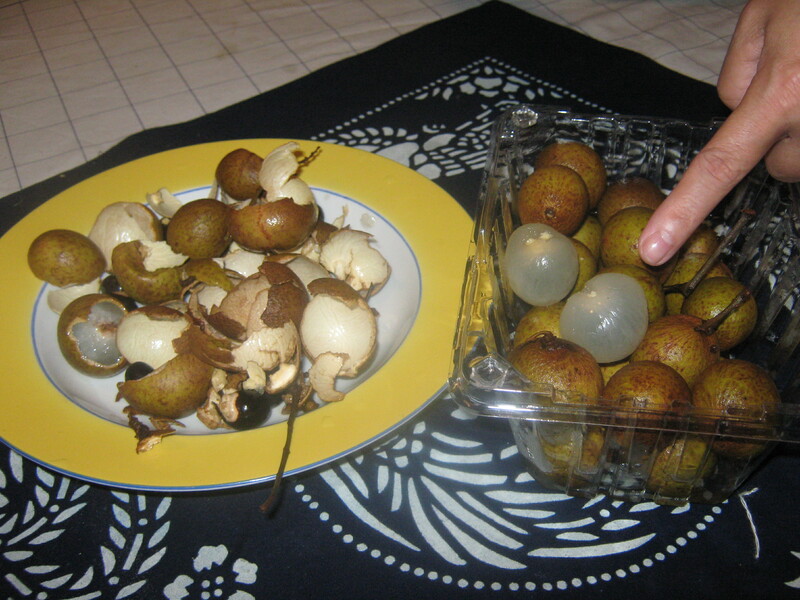 Supposedly, the Taiwanese say that Longan is "good for the brain!" Another brilliant roommate inspiration is a simple refreshing drink equation: fresh fruit + liquid yogurt (like Kefir in America) + blender = heaven in a glass! This baby pineapple was hand-peeled for me by a guy selling them on a cart a few blocks from my apartment, who deemed my Chinese "not bad." I look for bluntness in my fruit merchants! Also, it was the sweetest pineapple I've ever tasted. 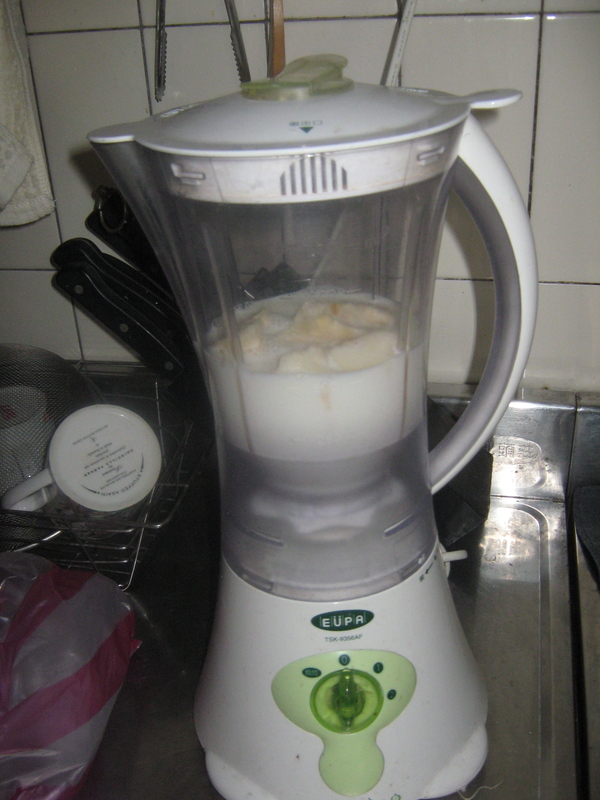 For the second batch, I put both the pineapple and the yogurt in the freezer for a few hours before blending. YUM! Above, a glimpse of early morning fog. 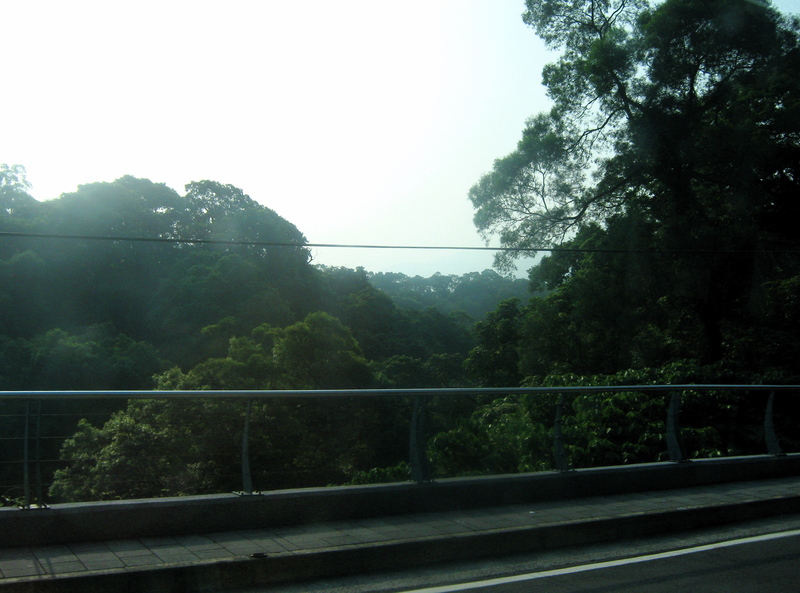 My bus, the 282, takes a lovely winding route through the mountains before going through the neighborhoods of Wan Fang and Muzha, on the way to Zheng Da. 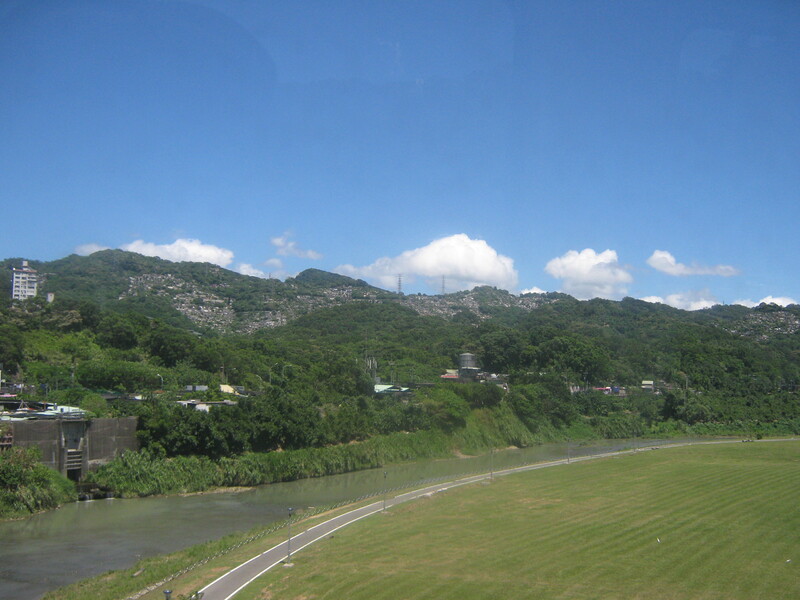 A view of the mountains near Zheng Da and Muzha from the MRT. 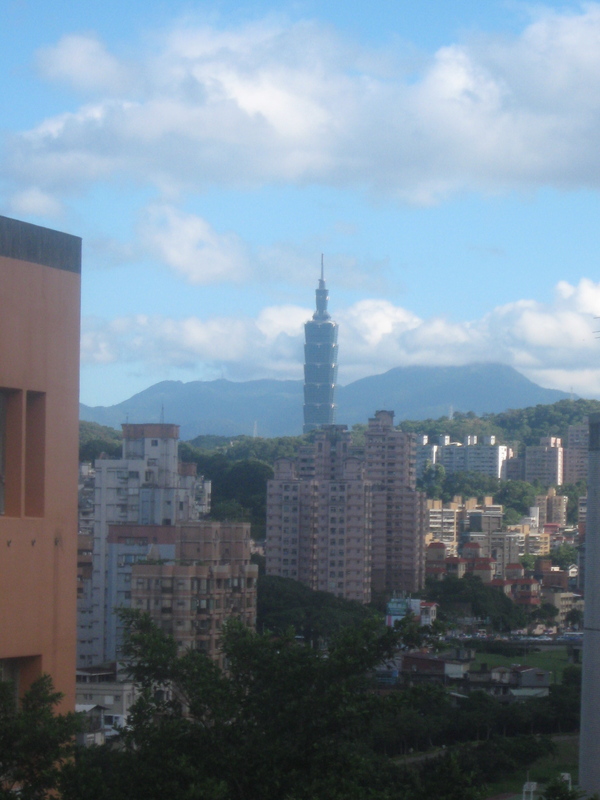 From "Upper Campus," we have quite a view of Taipei city and the Taipei 101. 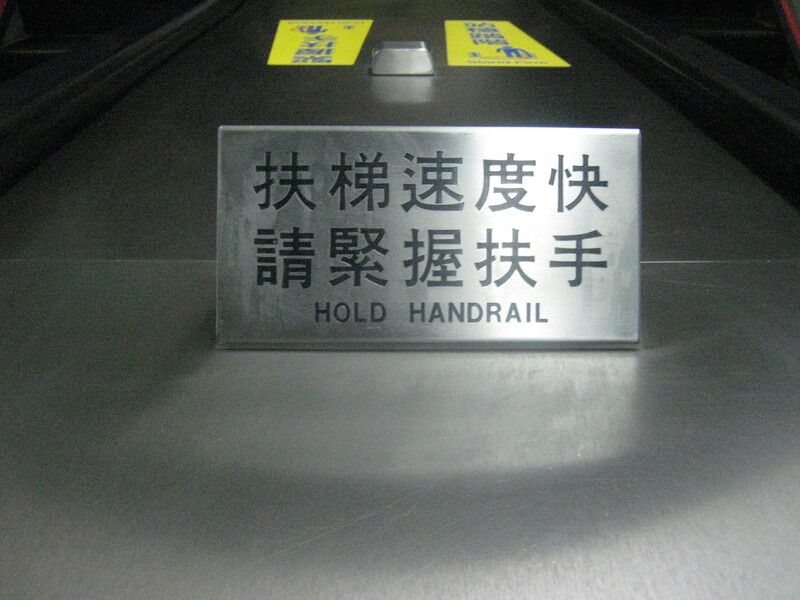 An example of how mystifying MRT caution signs can still be to the novice in Chinese. To quote Lost in Translation, "Slower... and more intensity!" 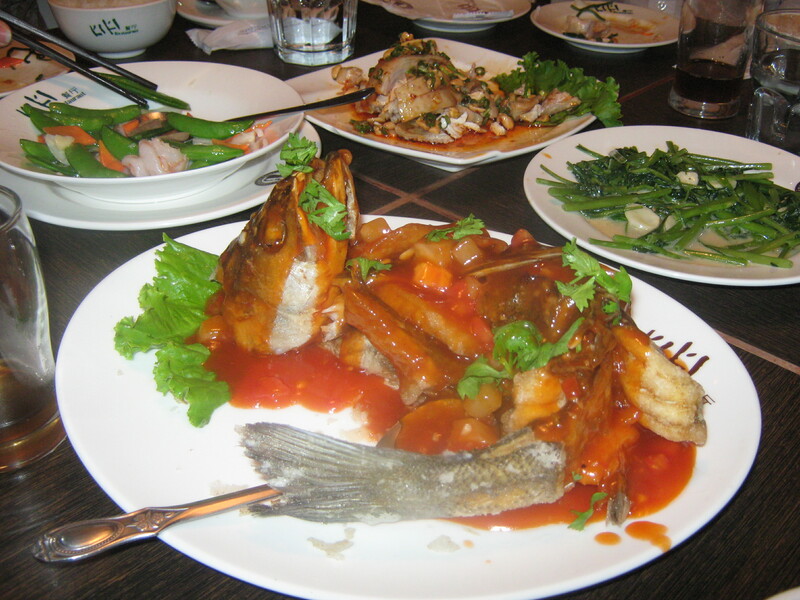 A totally insane Sichuan meal that I had with some friends on Monday. 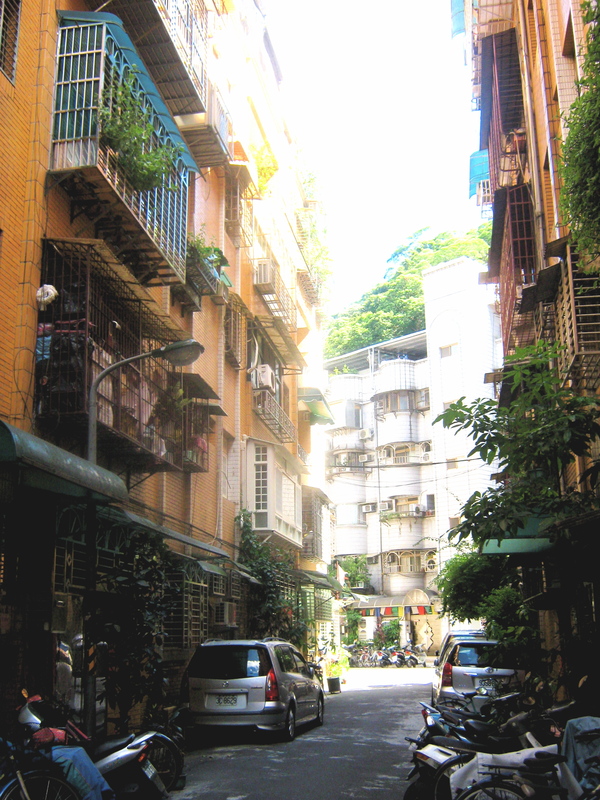 I have an alleyway! And an apartment! More on that coming soon. I love seeing your photos and hearing about your adventures. One question, what is the Taipei 101? The Taipei 101 is the enormously tall and thin building that pokes up out of Taiwan’s skyline, shown here and in the header of this blog! It was the tallest building in the world for a little while. But that title seems to have been re-claimed by Dubai in the form of the Burj Khalifa. Still, Taipei 101 remains a beacon of height, and is certainly the tallest building in East Asia, and in Taipei by a long shot! I see you had MDBG.net up on your computer when you were doing that hw… at this point I honestly think I use it hundreds of times per week.